When opting for the ideal, spot on, everyday kind of handbag, I always find that functionality and versatility is quite key in making that little piece of heaven around your shoulder and arm last for ages. As I routinely trek to NYC every morning for work, or go on my many spontaneous shopping trips, I can't seem to leave my house without toting around all my essentials...and usually, it's a pleasant plethora of essentials, which include a trusty pair of flats (when my platform heels start feeling unfriendly), a little cardi when the office gets a bit chilly, a chunky weekly planner and fashion notes, my little sack of beauty must-haves for those last minute "reapplies", and my hefty bottle of water and cereal bars to recharge throughout the day. I guess one can say I'm more of a "hand carry" type of gal, as opposed to rockin little petite purses all day long (not possible for me). While peeping some designer brands that keep to my personal mantra of "handbag functionality and versatility," I thankfully came across the high end Italian brand, Mandarina Duck, and inevitably, my admiration for them was an instantaneous one. Where handbag chicness meets efficiency and convenience, Mandarina Duck undoubtedly comes into play. 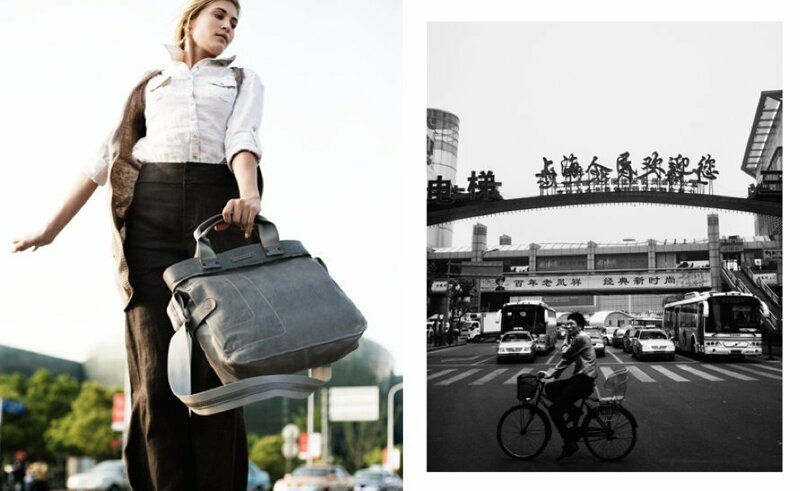 Made of the most supple, soft quality leather in sweet, functional shapes, this lovely Italian brand keeps to their personal design ideal of "faithful handbag monogamy". The initial inspiration drawn during the brand's establishment is quite an interesting one. The Mandarin duck is an animal that has been regarded for ages as being an arduous traveler and faithful partner during its lifetime. Hence, when designing each special piece, the brand keeps to its ultimate value, which includes maintaining a vibrancy of colour, quality and resistance, a innate knack for travel, and dependability -- just as the Mandarin duck's character was known for its myriad of beautiful colours and long dedicated journeys. Personally, I've always believed that when buying a special piece of fashion, especially an everyday handbag, it's important to feel a sort of personal connection, considering it'll be faithfully by your side through your many everyday travels. The Mandarina Duck pieces in Creative Contrast's shop seem to maintain that much-needed aspect of chicness, functionality, and overall utility (two of which i cannot stop eyeing are the Leather City Tote and Leather Lips Shoulder Bag). ;) Luckily, during the month of February, Creative Contrast is offering 10% off and free worldwide shipping for anyone purchasing Mandarina Duck... at checkout, just enter promo code: MANDARINA10 -- awesome! That bag in the first pic is stunning! i love it!